This work studies the history of two major Scottish shipbuilding firms based on the River Clyde - Scotts Shipbuilding and Engineering Company and Lithgows Limited. It traces each firm’s origin, success, decline, and collapse, and places the events into the historical context of maritime Britain. The aim is to enhance the academic understanding of the cause and effect of the decline of the British shipbuilding industry, delving beyond the factors of poor industrial relations, international market conditions, and entrepreneurial failure in search of further answers. As a private company, Lithgows Limited provides useful insights into company management outside of state control. 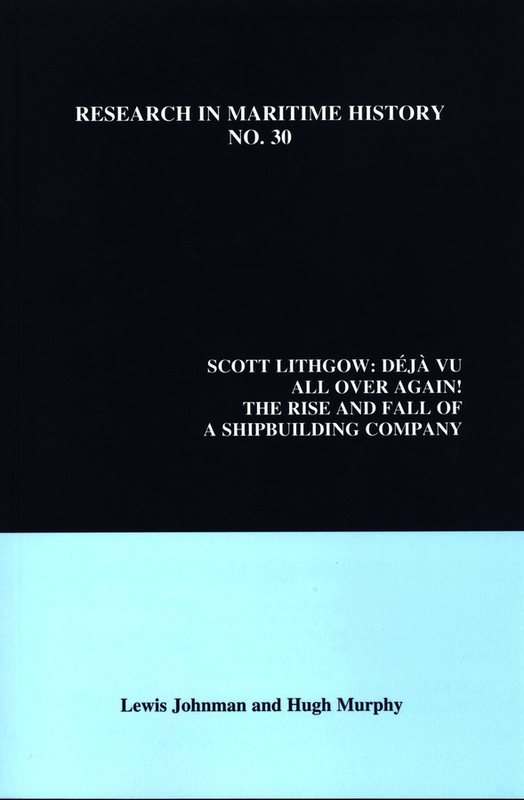 The authors base their analysis on the catalogued volumes of Scotts and Lithgows records, though due to the large number of gaps in the data, they also conducted interviews with major players in each company from the post-war period. Public, business, and banking records also provide supplementary material. The book is separated into eight chapters, plus a concluding ninth, an appendix listing ships built by Scott Lithgow Limited between 1970-1987, and a select bibliography.